The dense fine speckled (DFS) nuclear pattern is one of the most common indirect immunofluorescence (IIF) patterns detected during routine anti-nuclear antibody (ANA) screening. 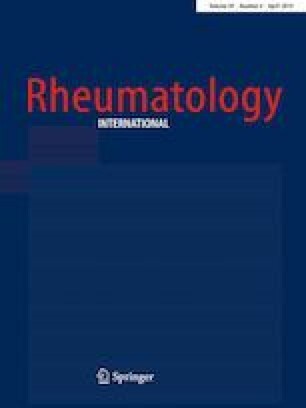 There is a negative association between anti-DFS70 status and systemic autoimmune rheumatic disease (SARD), especially in the absence of concomitant SARD-specific autoantibodies. The purpose of this study was to determine the need for confirming anti-DFS70 status when a DFS pattern is observed in IIF-ANA. The frequency of anti-DFS70 detection on Western blot and the positive rate of connective tissue disease (CTD)-related autoantibody screening with a fluorescence-based enzyme immunoassay was evaluated in DFS (n = 182) and non-DFS (n = 359) groups. Specific autoantibodies against 15 autoantigens were identified by line immunoassay. We evaluated the frequency of cases of DFS mistaken for non-DFS and non-DFS cases mistaken for DFS, as well as the clinical impacts of these misinterpretations. Among cases of IIF-ANA with an observable DFS pattern, 68.1% had only anti-DFS70 without CTD-related autoantibodies, 20.3% were false positive for IIF-ANA, and the remaining 11.5% had CTD-related autoantibodies independent of anti-DFS70 status. These results indicated that CTD-related autoantibodies may be present with or without anti-DFS70 even if a DFS pattern is observed in IIF-ANA. Among patients who are ANA negative or have a low probability of SARD, an anti-DFS70 confirmation test has no clinical benefit and cannot replace specific tests for detecting CTD-related autoantibodies. Specific tests to detect CTD-related autoantibodies should be performed instead of anti-DFS70 confirmation tests when a DFS pattern is observed in IIF-ANA. This research was supported by the Basic Science Research Program through the National Research Foundation of Korea (NRF), funded by the Ministry of Education, Science and Technology (Grant No. NRF-2016RIA2B4014121). All procedures performed in studies involving human specimens were in accordance with the ethical standards of the institutional research committee (IRB No: KHNMC 2016-10-018) and with the 1964 Helsinki declaration and its later amendments or comparable ethical standards. The institutional research committee had waived the process of obtaining consents from all individual participants included in this study, because this research was a study using residual samples.